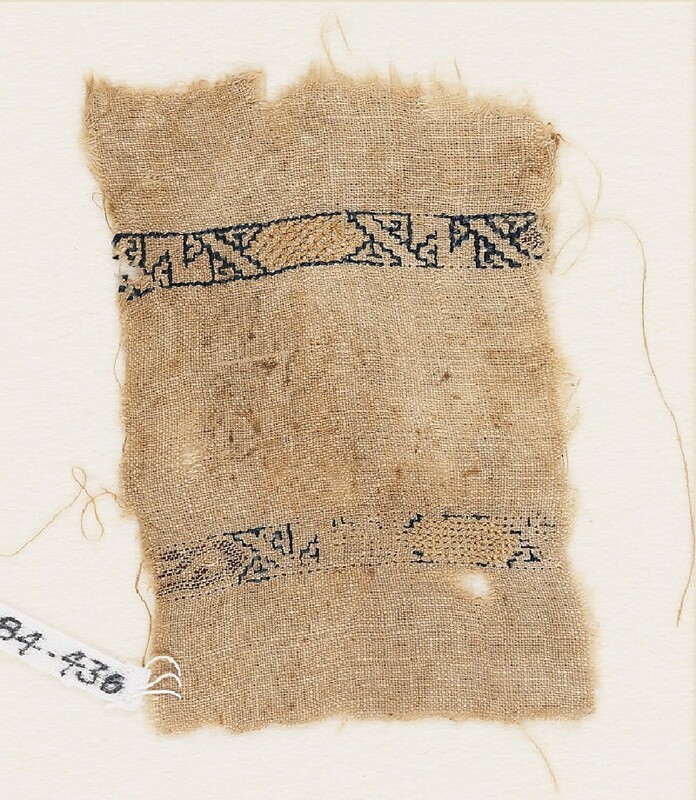 Two narrow parallel bands with cartouches and diagonal lines framing a Z-shape. The design is outlined in blue running stitch embroidery. 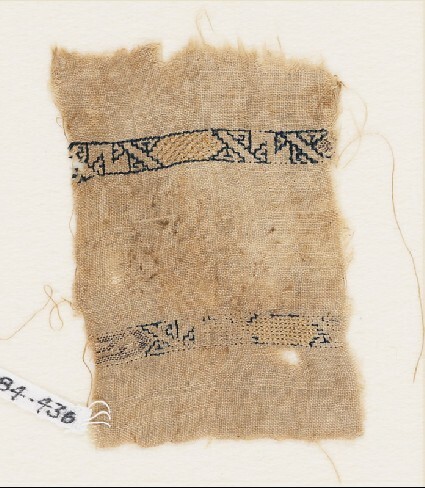 The cartouches are alternately filled with pulled work with yellow wrapping stitch worked in diagonal rows, or in fine, brown single-thread darning stitches. Each band is 0.8 cm wide.